Belize has emerged as a popular destination for entrepreneurs over the globe to incorporate an offshore company because of advantages like tax exemption, anonymity and simple incorporation procedure. An offshore company, or International Business Company (IBC), in Belize is a tax-free corporation designed for carrying out all forms of international business in the country. Such a company is formed under the International Business Companies Act, 1990. Conventionally, Belize offshore companies are incorporated for a variety of tax planning and international investment purposes. It is the most popular form of corporate structure here. In fact, Belize has emerged as a popular destination for entrepreneurs over the globe to incorporate an offshore company. Here’s why. An offshore company in Belize can be incorporated in as quickly as 1 day, with minimal start-up fee and low-cost annual fee. Furthermore, there is no prerequisite of a considerable paid-up capital to form the company. All Belize offshore companies are exempt from both stamp duty payments as well as taxation on any income the firm earns. Moreover, there is no capital gains tax in Belize. 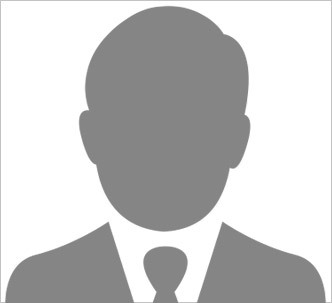 Offshore business owners enjoy complete anonymity. The names of all parties need not be disclosed, and there are no prerequisites to prepare and file annual reports. Owing to being a former British colony, English is the official and primary language in Belize. Consequently, business communication is not an issue for most foreigners in Belize. By law, offshore companies in Belize are shielded against asset confiscation by the government of any country. All in all, the features of an IBC in Belize make it an excellent vehicle, specially suited to business activities in investment, tax planning, international flow of capital, international financing and asset protection. Assign a registered agent (from an offshore provider) to liaise with government authorities on your company’s behalf and to handle company registration formalities. Select a name, that doesn’t belong to any other company, for your offshore company. Arrange for copies of each owner’s certified passport and his/her proof of address (for instance, a residential utility bill). Belize Company Registry would then conduct a due diligence background check on each person listed as an owner of the company. Draft the Memorandum and Articles of Association (MAA) of your company, and submit them to the Registry of International Companies in Belize, along with the requisite registration fee. After all the aforementioned documents have been filed, your company would be issued a certificate of incorporation by the Registry of International Companies.